Harry Potter gets to go to a Death Day party in this chapter. What did you think of the party? It made our family think about the many birthday songs that we have heard sung at parties. There is the traditional “Happy birthday to you,” song. Have you ever heard this one? Here’s another version that we have heard. We only sing this one with and to close family friends that know that we’re being silly and can take a joke. Because we all love you. Don’t think that we’re rude. Because we’re all gonna pile on you. Do you know any other birthday songs? Why go to a Death Day Party? The interesting part we find about this chapter was the choice that Harry made. Harry and his friends could have had fun at the party in the Great Hall with the rest of the school. It sounded like there was going to be delicious food and a lot of fun. However, Harry, Ron and Hermione choose to go to Nearly Headless Nick’s death day party. The death day party was designed for ghosts to have an great evening. The party wasn’t made for living humans to enjoy. Why would Harry and company choose to a party for ghosts when they could have a better time at a party more suited for them? Also, the three never complained about the horrible food or cold temperature of the party during the evening. Why? Harry and his friends were being polite. That’s a word that you hear adults throw around all the time. Don’t say that word; it’s not polite. Don’t chew with your mouth open; it’s not polite. Thank you for holding the door open – that was very polite of you. After much debate and discussion, our family decided that being polite is when you show someone else that their needs, wishes or wants are more important than your own. It means that you’re thinking of other people before yourself. At the death day party Ron was getting grossed out by all the rotting food. All three of the friends were also freezing in the cold temperatures of the room. However, they didn’t say a word to Nicholas or the other ghosts. Imagine if they had told Nicholas that the party he worked hard on to create was disgusting, gross and just wrong. I think Nicholas might be crushed. It would basically be telling him that something that he was so proud of was ridiculous. Sometimes people like foods that we think are gross. They might enjoy video games that we think are childish. Why would you want to hurt someone’s feelings about something they treasure when there is nothing morally wrong with it? In this chapter Harry could have told Sir Nicholas that he REALLY wanted to go to the school party. Even the Nicholas thought that Harry wouldn’t want to go to the death day party. Harry chose to go to Nicholas’ party because it made Nicholas feel important. Nicholas knew that Harry was giving up something to come to the death day party. Sometimes in a family or in friendships we can choose to sacrifice something we want for something another person wants. One day I, Darren, gave up watching a movie I wanted to see so that I could go play basketball with my son. I HATE basketball but my son really wanted to play. I was happy that I made him feel important and our relationship is stronger because of my decision. Treat others the way you, yourself, want to be treated. My older sons used to tell me all the time that this was the best rule for friends and family. It’s just a good quick rule that will help you treat others fairly and nicely. It’s a rule that will help you keep your friendships and more than likely grow them deeper. Before you carry out an action with someone, it’s good to check the action against this rule. Should I crank the volume on the TV while I watch cartoons in the morning when everyone else is still in bed sleeping? Should I clean up the board game that is all over the floor when I didn’t get the game out? Should I play with the unpopular girl/boy on the playground if I know people might make fun of both of us? Gary invited everyone in your class to his house for his birthday party. Gary isn’t very popular. In fact most of your friends think he’s a dork. His family also doesn’t have a lot of money, so you know that the party is going to be simple. More than likely all the kids will go over to his backyard to play outside games like tag and hide-and-go-seek, and then you will enjoy a cake that his mom baked. Many of the kids in your class including you tell Gary’s family they’ll be attending his party, and Gary’s family is expecting most of your class to attend. The week before his party a girl in your class named Sally announces that her family just bought a go-kart track and her parents will let everyone from her class come to the track this weekend for FREE. Everyone that comes will also get FREE pizza and ice cream. A lot of your friends have decided that they won’t go to Gary’s party so that they can go to the go-kart track. Which do you WANT to go to? Why? What is the polite thing to do? Why? How do you think Gary feels about so many people canceling? Last Week, My son, Eli, turned 11 years old. This is such an exciting time in his life! We bought books and other gifts we knew he would love, I made a cake for him, he had several friends over, and he had his favorite thing in the world for supper. My daughter, his sister, loved helping prepare for her brother’s birthday! She was so excited to help wrap his presents and make cards for him. 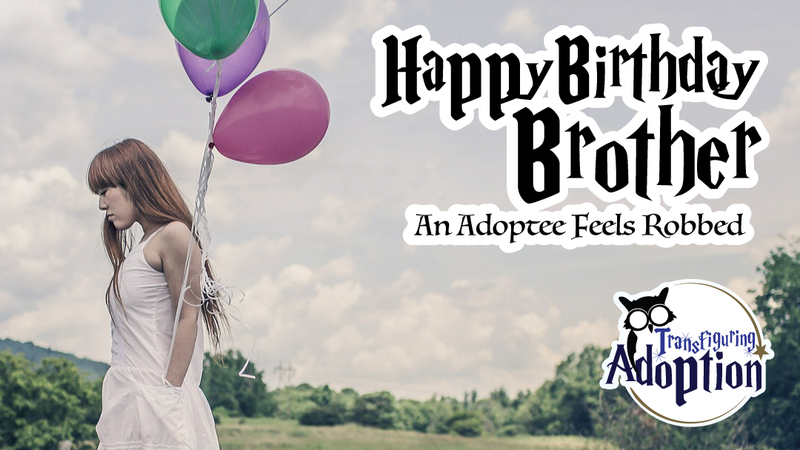 Birthdays are magical when you are young. 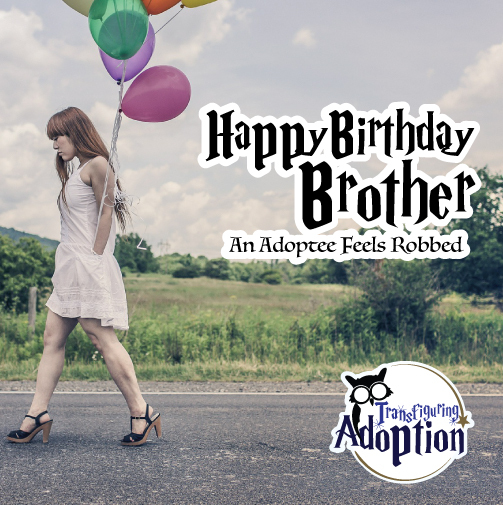 I guess they lose their glimmer a bit when we reach adulthood, but, let’s admit it, we all want to know someone is thinking of us on our birthday. It’s what makes us know we are a part of something bigger than just ourselves, and it gives us a boost to know that we are wished well by our friends and relatives. I have learned a few things about my biological people. I have two younger half brothers. One who is named Michael, and another one, who because of a disability, I have promised in my mind not to disturb. That doesn’t mean I care more for one brother or the other, or that he isn’t constantly in my thoughts, it just means that because I do not know the parameters of his disability, I would never do anything that I thought might disrupt his world and frighten or upset him. The other half brother, Michael, I have learned is quite well and is an adult of sound mind and body so, I will just focus on him (I guess that makes him fair game). When I think of the years my brothers and I could have had together, I feel like something huge was stolen from me (and them). I know the kind of child I was, and I can guarantee that if I was allowed to be their big sister, I probably would have dragged them everywhere with me. I would have been fiercely protective, I would have read stories to them, played games with them, encouraged them, fed them, gone to their little league games, walked them home from school, I would have made ugly, disgusting cookies for them, and teased them for crying on Santa’s lap. When they were older, I would have taught them how to drive, how to dance, and how to talk to girls. I would have cheered the loudest at their graduations, and showed their prom dates their baby pictures. Sure, we would have squabbled as all siblings do from time to time, but that’s what siblings do. But I would have taken care of them, no matter what. We would have shared so many stories. So many Christmases. So many birthdays. So many photo opportunities- but instead, my album is empty. I can only imagine those lost moments, and cry. I feel robbed! You and M. are my brothers, and I am believing that one day hopefully not in the far future, I will hug you both and weep tears of joy because I will know that if we have each other, we will be home. We will be family. 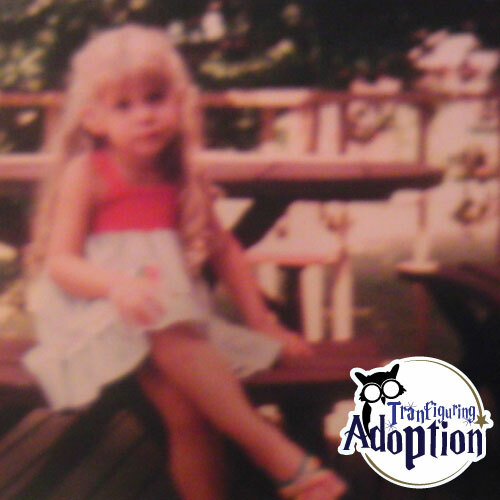 After finding out that my biological mother did not want contact with me, I was DEVASTATED!. I wasn’t going to get my love filled reunion worthy of being on the Oprah show. 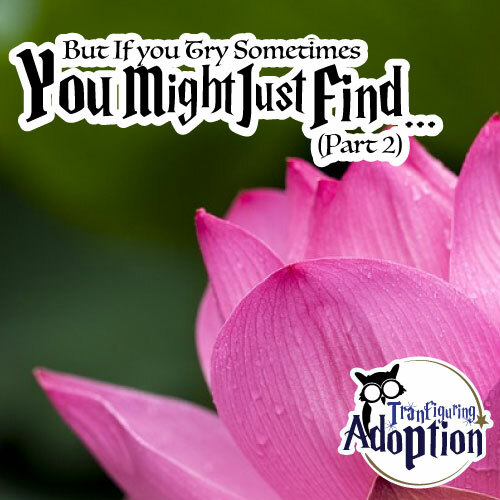 I wasn’t going to get to know my natural mom, and have all of the answers my heart had been longing for ever since that day in my early childhood when my adoptive mother told me I was adopted. There were not going to be any getting to know you dinner conversations that would go into the wee hours of the morning, no hugs, no kisses, no everlasting friendship with the woman who brought me into this world. The giant hole inside of me that I had been counting on being filled with everything I was missing from not knowing her wasn’t going to be filled. I wasn’t going to get the peace that I needed so that I could close the wound of abandonment, and finally be able to get on with my life as a “whole” person. Once again, I was left feeling like I was a mistake, and that I never belonged here (or anywhere) in the first place. I felt alone, forgotten, uneasy, unimportant, unloved, unfair, and rejected. When you are torn down, pulled apart, crushed and decimated, what can you do? When everything you were counting on was taken from you, when your dreams don’t come true, do you woller in your misery? Do you lay down and die? Or do you rebuild? Do you rise lie a phoenix from the ashes? These are the moments that define us, my friends. Where do you even begin? It hasn’t been easy. That is for darn tootin’ sure! I have done my fair share of crying, and wollering, but, in all of that pain, I find myself evolving. I had coveted that elusive relationship with my natural mother for so long, I let it define me. With a lot of prayer, deep thought, and support from my husband, I have begun to realize that the gap, the open gaping wound was not only caused by her giving me up, but by me leaving an opening for her. I was so focused on the rejection, that I forgot to realize what I had already. When I decided it was time to take those blinders off, I began to see that I had everything I needed, and only one part of it came from her. I began to assess my life, and I saw the bad decisions I made in the past because I was hurting, But I also saw that God had been looking out for me all along. I was put here for a reason, and it wasn’t just because two people forgot to use protection. I had been living in spite of my pain, but forgot to appreciate the life I had built. I found that I had never given all of myself to the relationships I have because I was so crippled by mistrust and fear of rejection. I took stock of my tools, and I realized, it wasn’t going to be easy to rebuild, but it had to be done. So, that’s where I am. I am not saying that I am not thankful to my biological mother for her part, and I am not saying that I don’t think of her every day. I still get sad and feel out of place from time to time. Also, I am not giving up hope that one day, we might meet, but I am not going to keep that hole open for her anymore. I am healing. I am filling my sadness with a new appreciation for the things that I have, and the life that I have built. I am learning to accept the love I get from my family. I am learning that I am not defined by my pain, I am defined by what I make from it. I am blooming through my mud. And one day, all of this will make something beautiful and strong. I didn’t get what I wanted, but when I tried, I found that I got what I needed- and that is a better thing to stand on than your wants anyway.